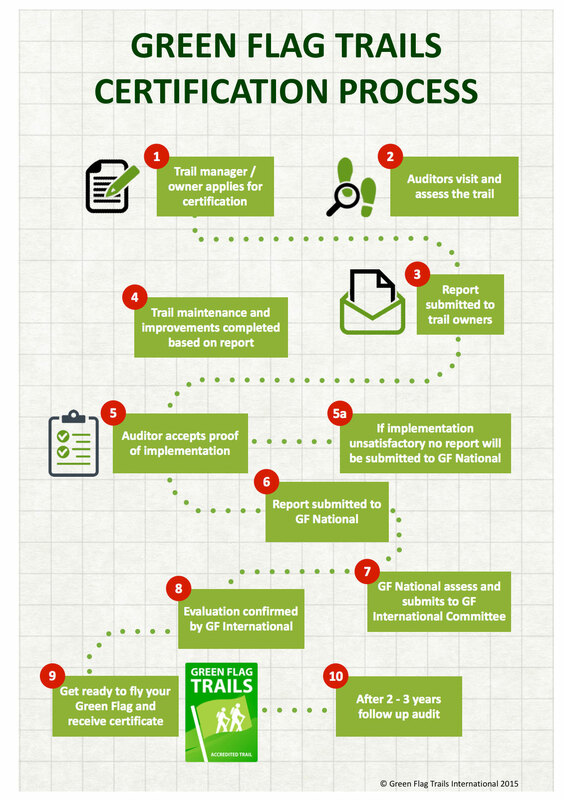 Green Flag Trails is a voluntary quality mark and assessment system for hiking trails. Trails with Green Flag Trail status strive to offer the best possible hiking experiences. Trails are however not graded subjectively from good to bad, instead the system centres on the concept of allowing hikers to make informed decisions of the trails they’d like to walk. Green Flag Trails is an accreditation system that seeks to offer hikers assurance and all the information needed for trails to meet their expectations.